Week twelve and I feel like I have settled into this challenge now and look forward to what to make next. 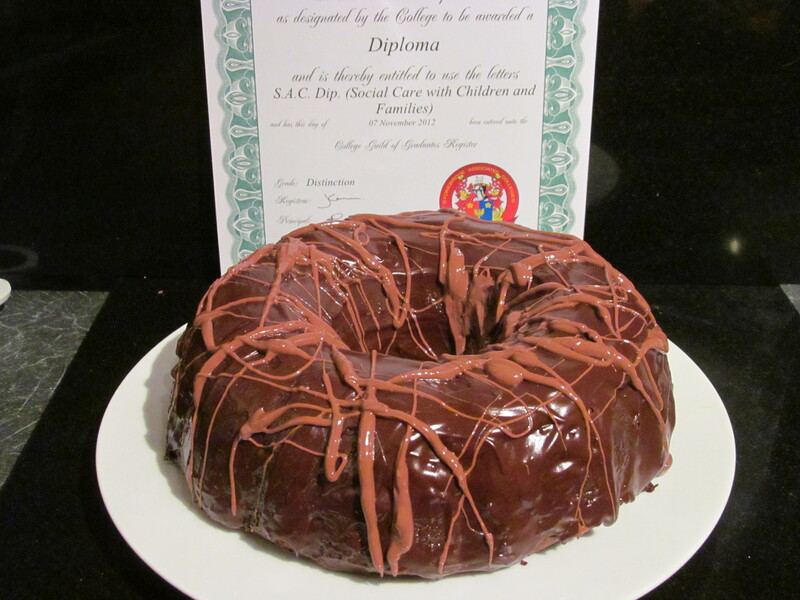 This week was a special week for me as I passed my Social Care with Children & Families Diploma, and with a Distinction too! Woohooo! So I was looking for this week’s inspiration with the view of a celebration and this fitted the moment, and I could do it in my mixer, as my thumb is on the road to recovery but not up to any hand mixing yet. Mary Berry’s recipe called for a ring mould tin and to line this. Not as easy as it sounds so I thought I would look online to see if there any any hints and tips. Unfortunately I found nothing, zip, nada…….so decided to give it a go myself. It didn’t look pretty but it did the job! The mix was pretty straightforward, just throw pretty much everything in a bowl and mix- my kind of cooking! Then add half this mixture in various places in the tin, add the cocoa/water mix to the rest of the mix , and then add to the tin. This should give it it’s marbled effect. Then into the oven for 40 minutes or so. 40 minutes later and the buzzer pinged, I looked at it but it was a bit underdone so I added another 5 minutes to the timer. Then it was done , time for a little cooling and then to tip it out. 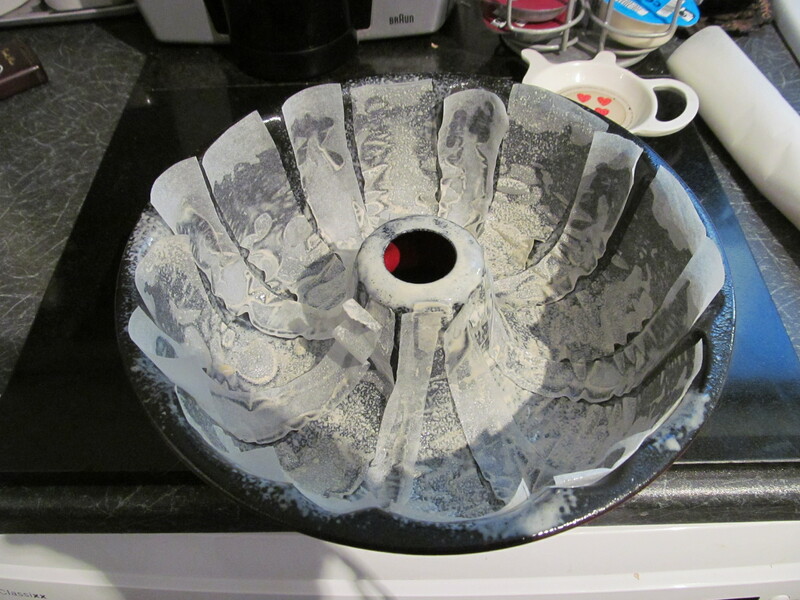 The paper lining worked well and came off easily and then the cake was left to cool. 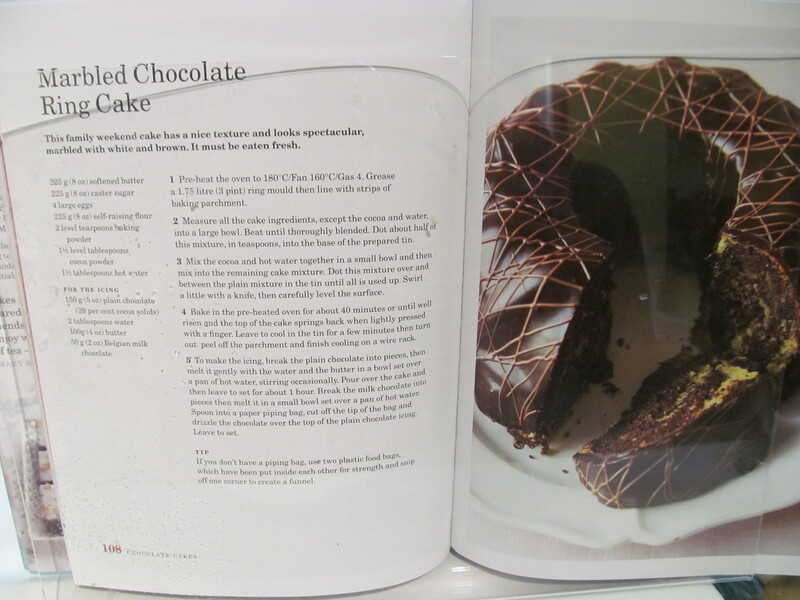 The topping is pretty much dark chocolate, mixed with some butter and melted, then poured on the top. Mine covered the whole cake but didn’t look as smooth as Mary’s photo in the bible. This topping then needed to cool before the final drizzle of milk chocolate to finish it off. 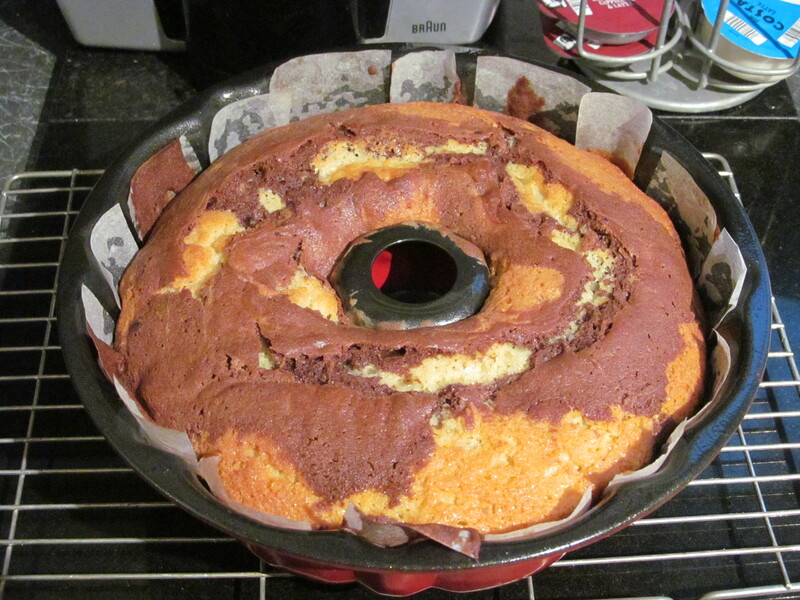 This entry was posted in Kim's cake challenge and tagged Baking and Confections, Baking powder, Cake, chocolate, Cooking, dessert, Home, Kim's Cake Challenge, marbled chocolate ring cake, Mary Berry, Types of chocolate by kimsideas. Bookmark the permalink. Maintaining great standards. Never doubted you were smart!! Lov YA.